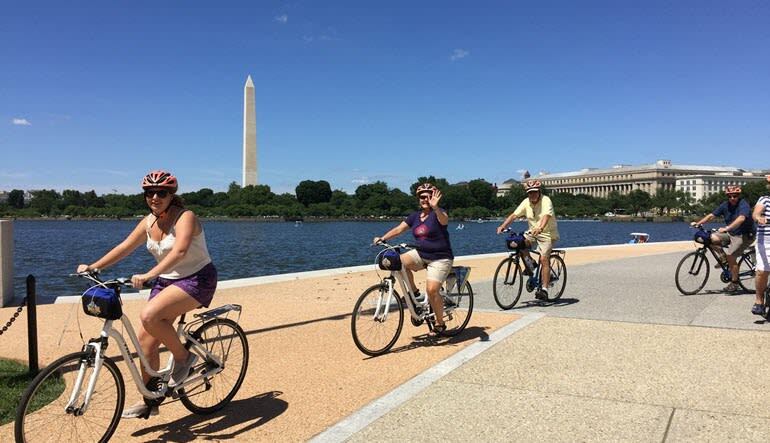 This bicycle tour of Washington, DC sets you off on a guided adventure through Capitol Hill and the National Mall. For 3 sunny hours, you’ll cover seven miles of postcard sights. 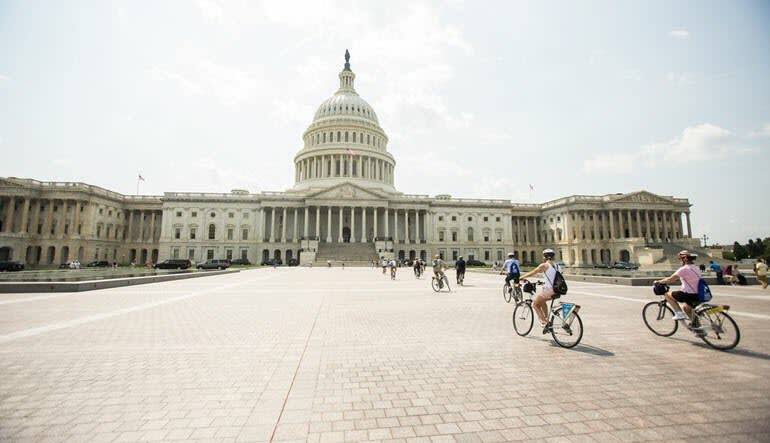 This bicycle tour of Washington, DC sets you off on a guided adventure through Capitol Hill and the National Mall. For three sunny hours, you’ll cover seven miles of postcard sights. Pedal past historic monuments and memorials, all while learning about the rich history and discourse our nation was founded on. 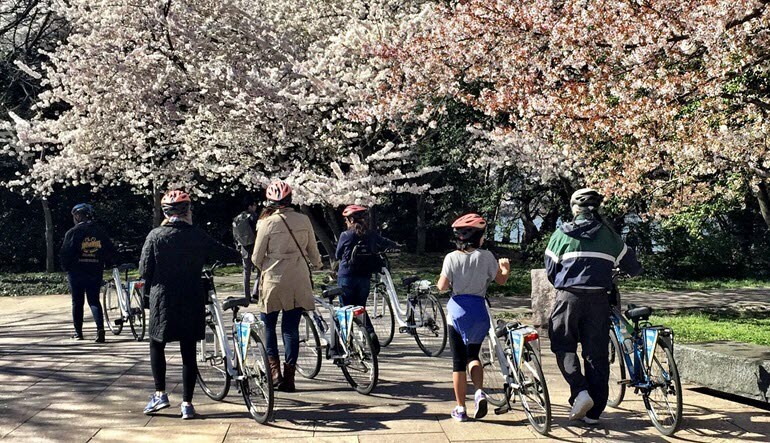 Hop on your sleek hybrid bike and follow a friendly guide to Capitol Hill and the National Monument. See the US Capital Building, Library of Congress, Union Station and Supreme Court. Encounter numerous memorials along the way including the Japanese-American Patriotism Memorial, the Korean Veterans Memorial, the Vietnam Veterans Memorial, the WWII Memorial and of course, the Lincoln Memorial. Head to the Smithsonian Castle and a number of Smithsonian Museums. Be awed by the soaring Washington Monument, standing nearly 600 feet tall! And don’t worry if you get peckish—ample snacks will keep you ell fueled up while bottled water will be on hand all day. Pair your patriotism with a little workout and discover all of Capital City’s famous landmarks!